This issue starts with a close-up image of the new L.V.G. 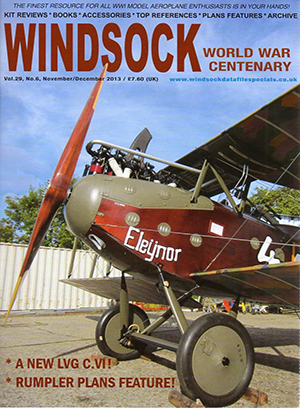 C.VI replica on the front cover, with two further pages of photographs showing every detail of the Memorial Flight Association’s L.V.G., which this reviewer is looking forward to watching here in New Zealand skies, at its new home in Masterton. 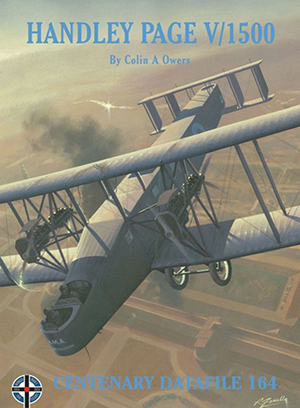 Aircraft are still the theme in the editor’s new series, 100 Great Warplanes, with No.1 being a comprehensive coverage of the Rumpler C.III two-seater, predecessor to the more well-known C.IV. 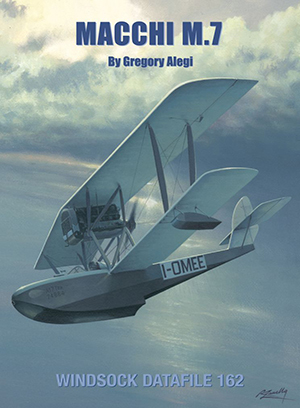 The final Datafile for 2013 covers the Italian Macchi M.7 flying boats, which flew from May 1918 until the late 1930s, making it one of the longest serving Great War aircraft types to serve in any country.Coming just too late for more than a handful of the types to see limited operational service in Italy before the Armistice, the M.7 nonetheless continued in production for years to come, going through a number of design modifications along the way and proving to be an outstanding racing ‘plane and an excellent training aircraft in the latter stages of its service life. For their second Datafile of 2014, the First World War centenary, publishers Albatros Productions Limited have moved from the early war to the very late war. The Handley Page V/15000, Britain’s biggest aircraft of that conflict, let alone bomber, was completed and ready just too late to see active service in the conflict, with two bombed and ready aircraft being forestalled from raiding Berlin by the 11 November Armistice. Nevertheless, the Handley Page V/1500 is a fascinating and, until now, not very well-researched aircraft type.